Notes: Please note size requirements, it is recommended for a 50g or larger tank. It enjoys perching and hiding in Live Rock. Should be fed feeder shrimp. 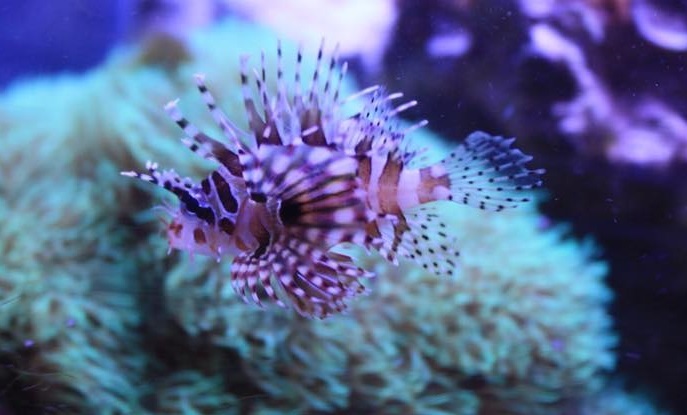 Caution should be taken with these fish as they are venomous and can do bodily harm. Q: What is the largest that you have in stock? Q: are these zebra dwarfs or fuzzies?